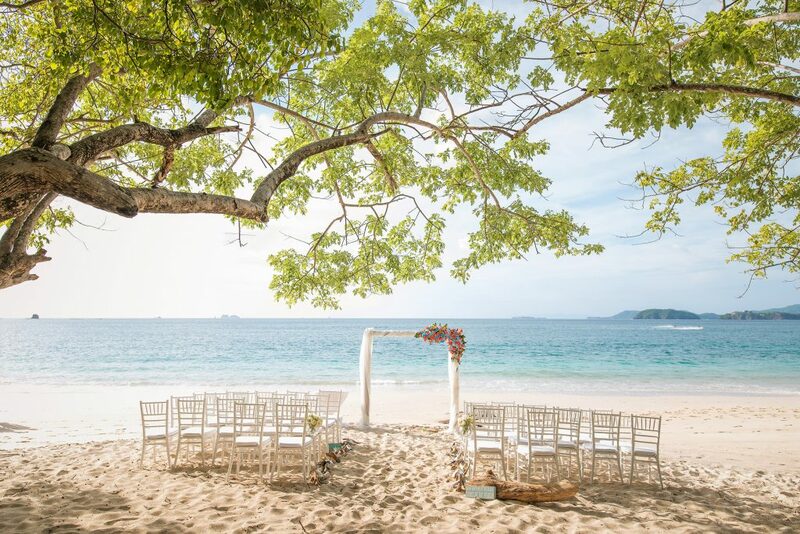 Top Costa Rica Wedding Venues. 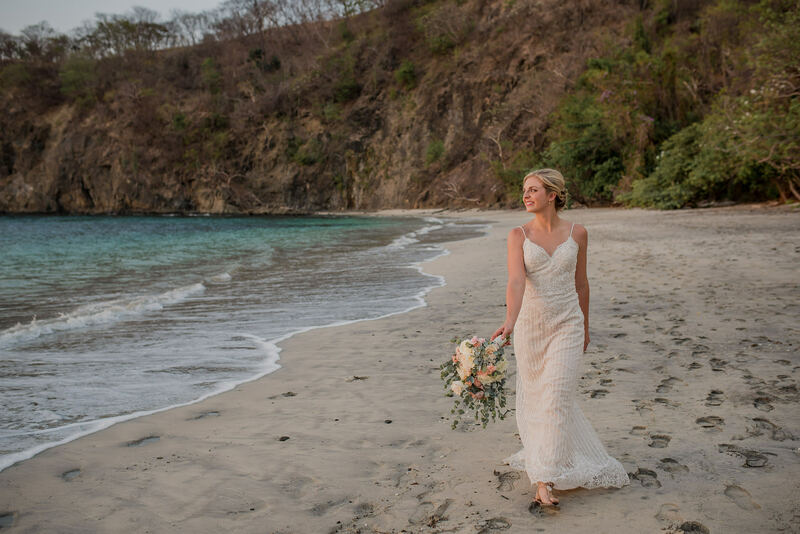 Learn about the best wedding venues in Costa Rica for your big day. The unique architecture and modern luxury of the Four Seasons makes it an exceptional spot. 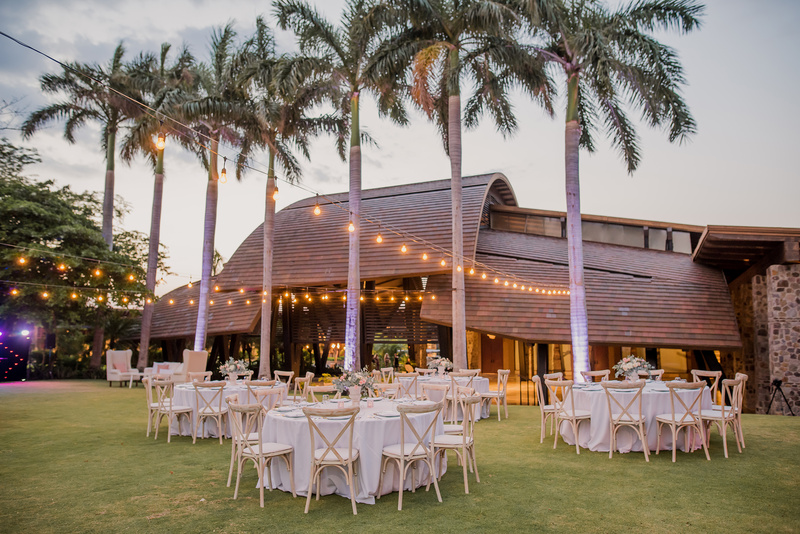 Its wide selection of outdoor and indoor venues will suit your event style and needs. 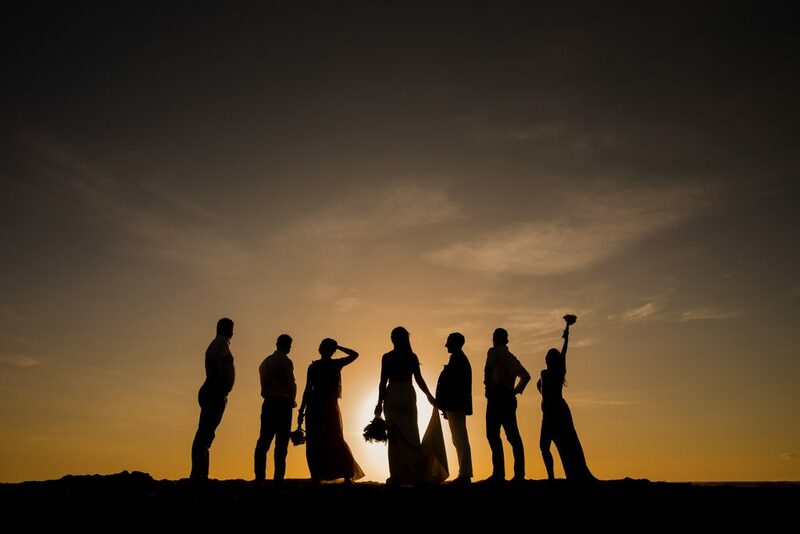 As a result, clients are free to explore different wedding possibilities. 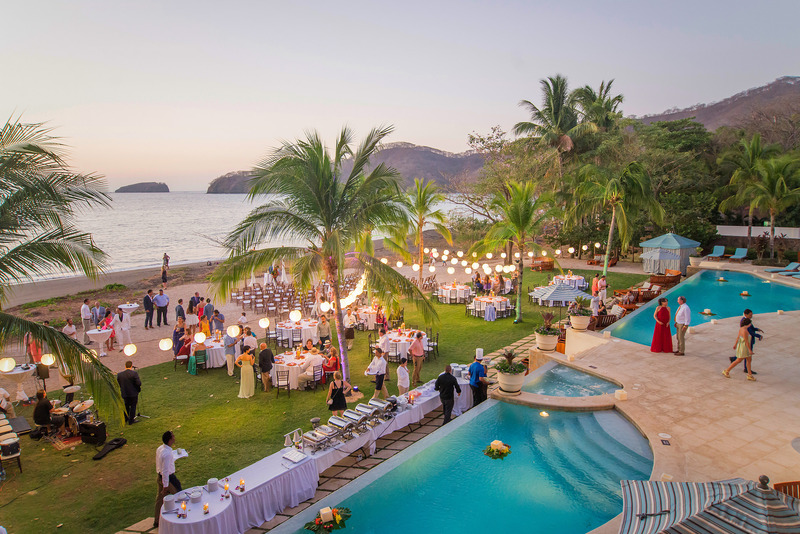 Strategically located in Peninsula de Papagayo’s point, this luxury resort offers 2 beautiful beaches, Playa Virador and Playa Blanca, as well as an indoor ballroom, Armadillo (an event pavilion) with a stunning garden overlooking the ocean. There is so much to do here, you’ll never want to leave!!!! 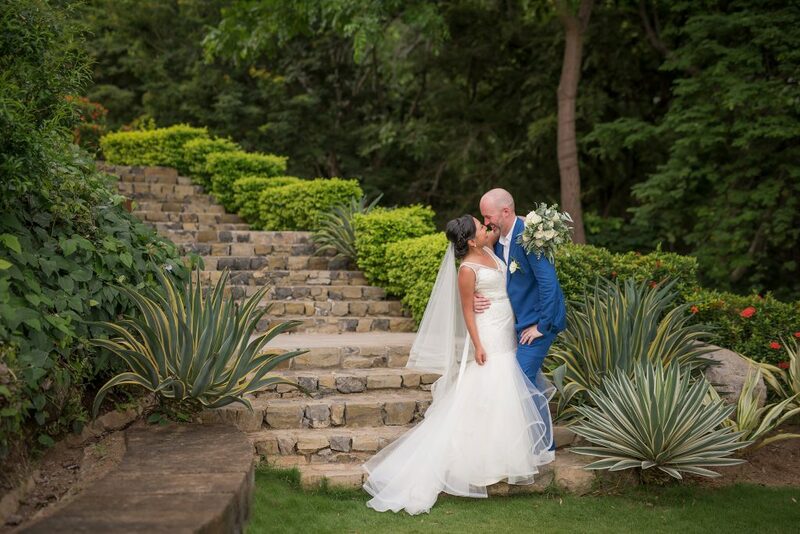 This luxurious oasis is the ideal spot for a destination wedding. 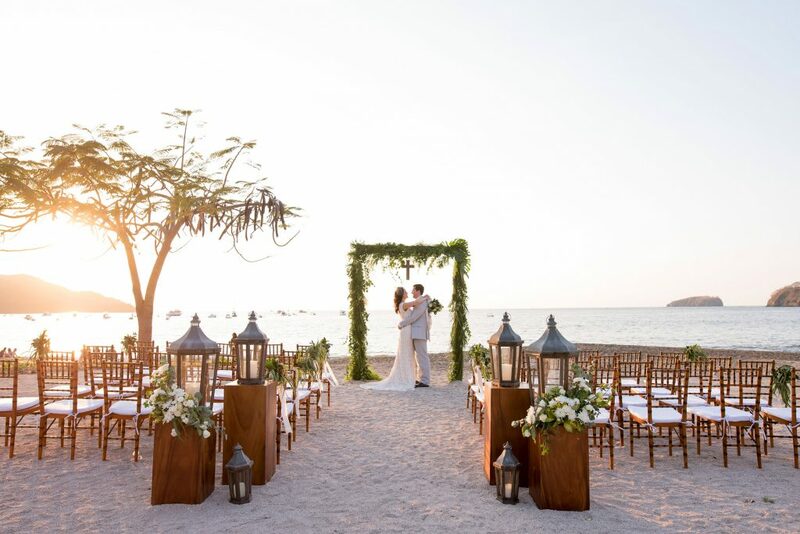 It offers a spacious, open air beachfront venue, with a breathtaking seascape. So, if you are looking for privacy and natural beauty, you are certainly going to love this spot. 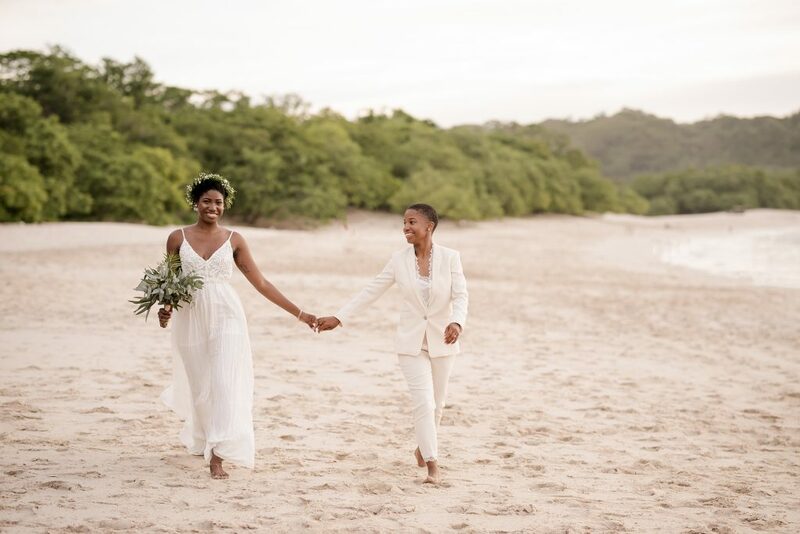 If you decide to get married here, you and your guests may choose to stay at the Four Seasons Resort, Andaz Resort, Exclusive Resorts, or privately owned homes in the Peninsula. So there are options for everyone! 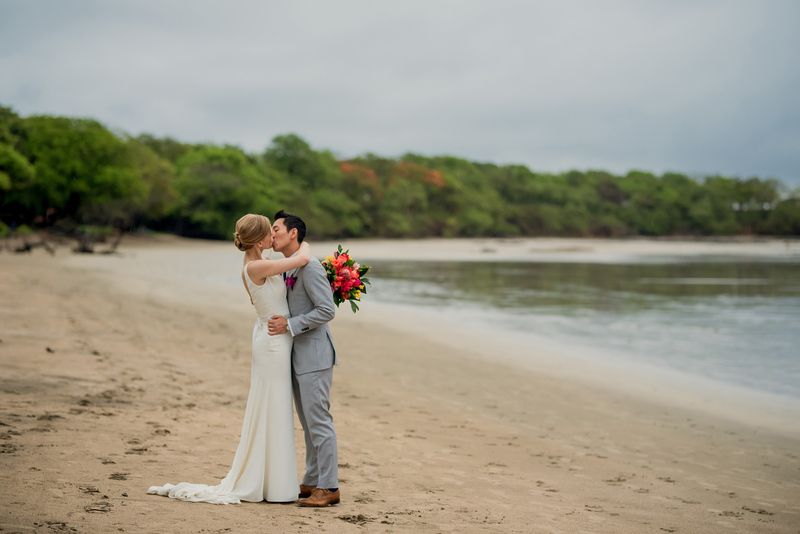 Pangas rests along the breezy northern tip of Tamarindo beach. 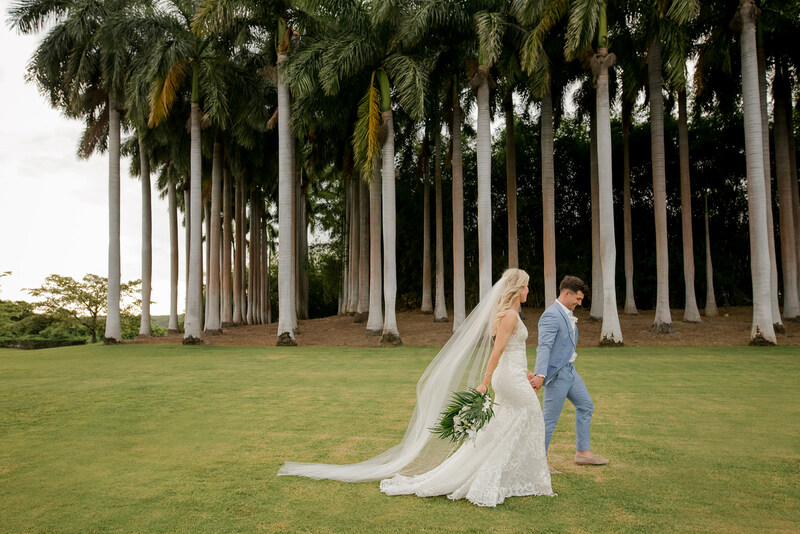 This gem combines timeless elegance with tropical style. 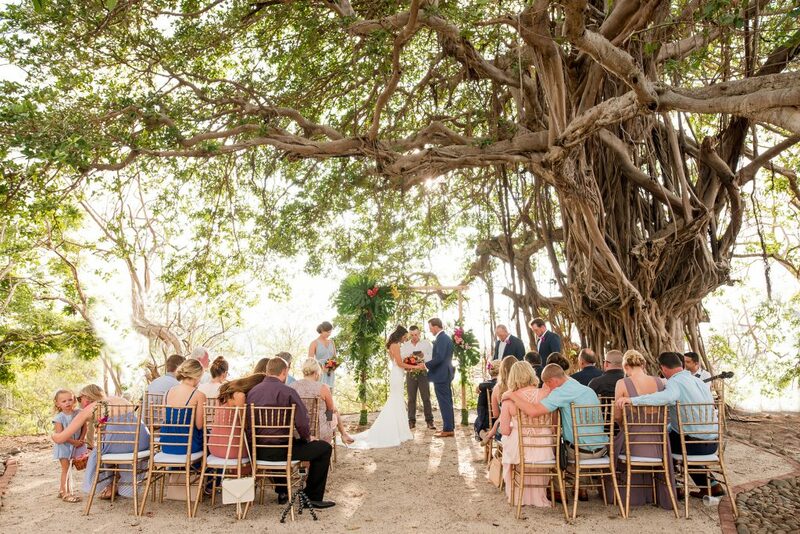 With an enchanting Banyan tree as a ceremony site. 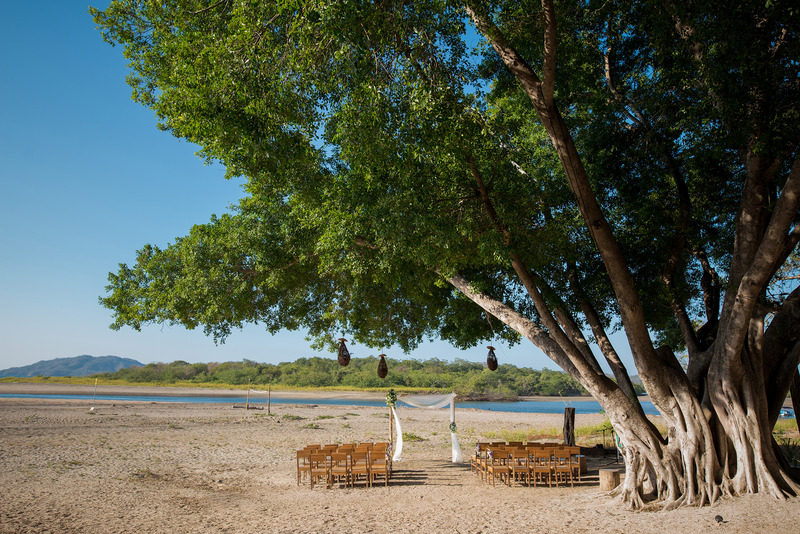 This beachfront venue rests at the far northern end of the beach, making it very private as well. Food and service here are exceptional. 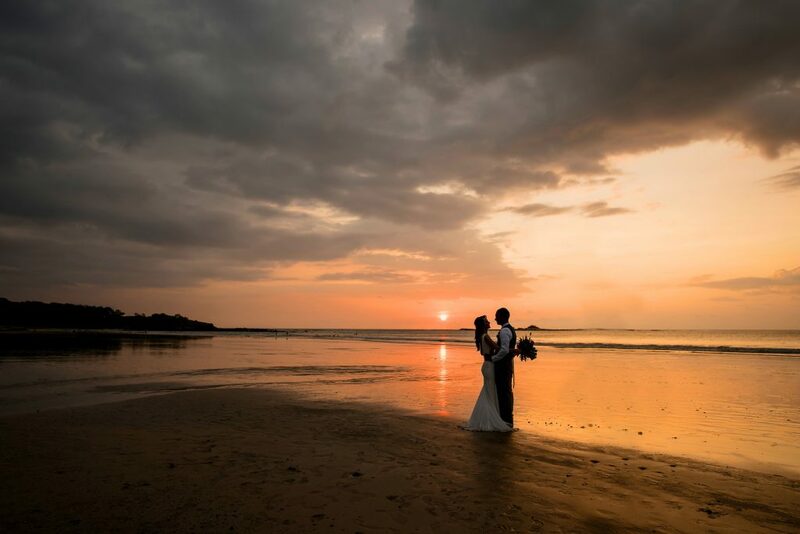 Guests may choose to stay in any of Tamarindo Beach’s hotels or rental homes. Tamarindo Beach is one of our all time favorite beach towns! Here you may enjoy surfing, night life, excellent restaurants and shops. 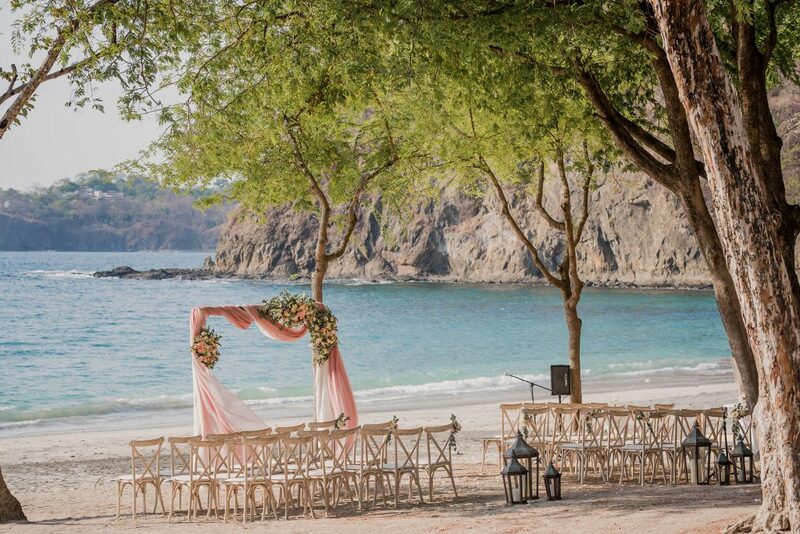 Cala Luna Hotel, located in Langosta Beach, has one of the most famous spots for destination wedding ceremonies in Guanacaste, Costa Rica. 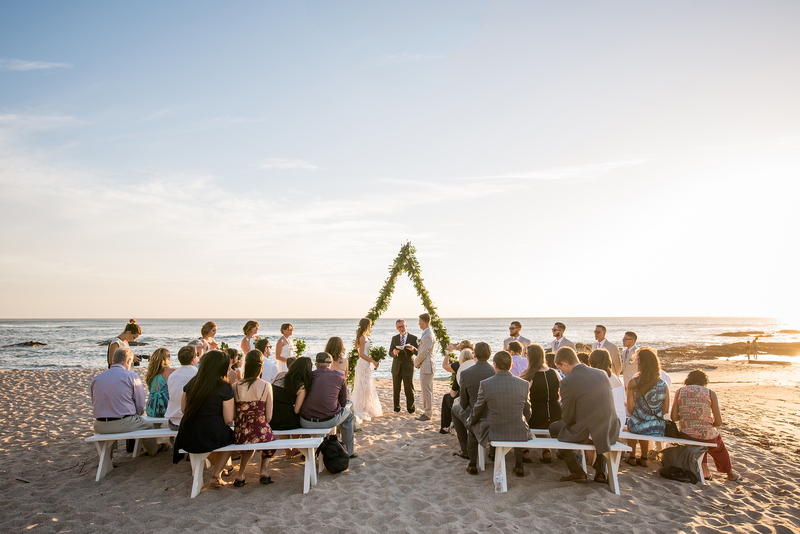 Cala Luna point, is were many ceremonies take place. This stunning spot will assure you a ceremony and sunset session from a fairytale. 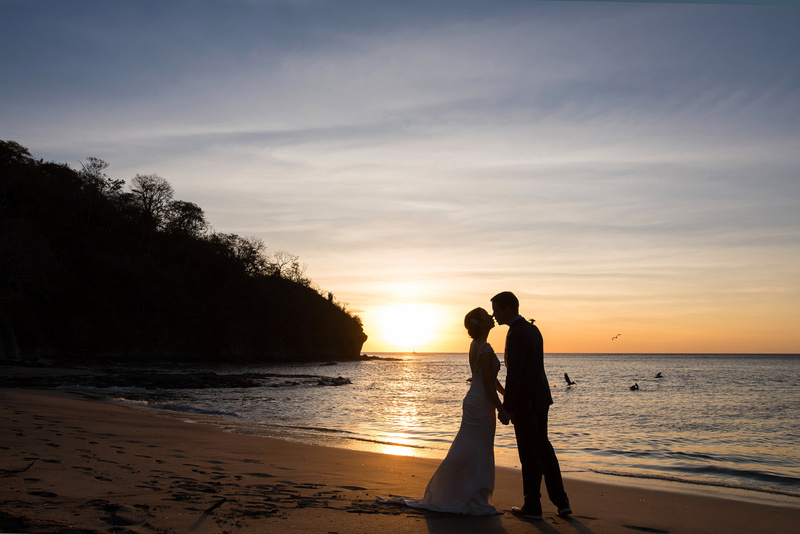 You’ll presence our famous Costa Rica sunset unobstructed in the horizon, year round. 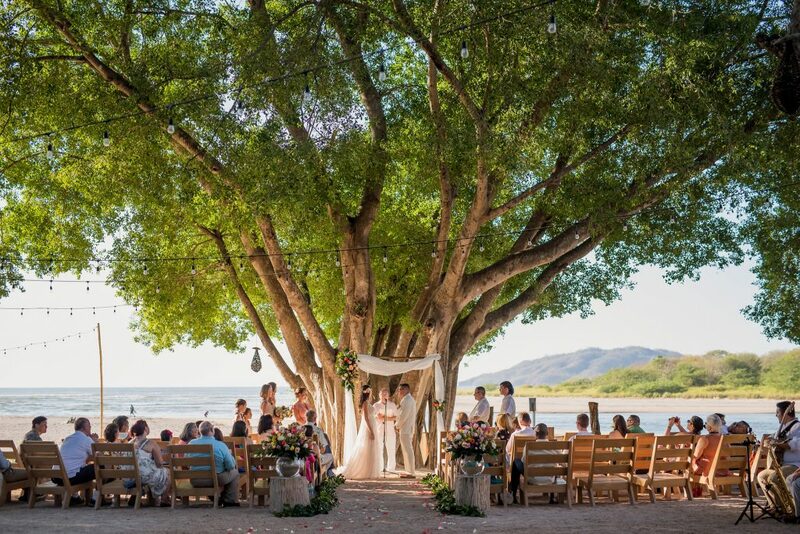 No doubt this is one of the most highly sought after ceremony locations in Guanacaste. This beach front property is perfectly situated in the middle of Playas del Coco. 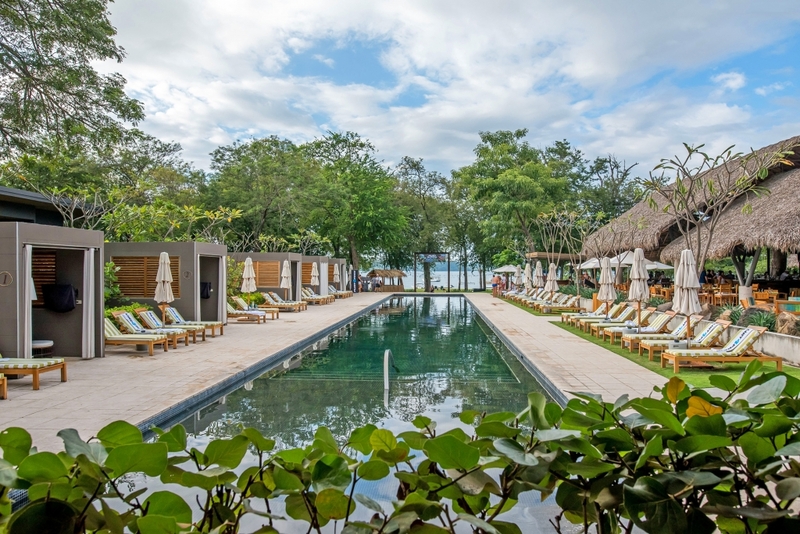 It features a refreshing infinity pool, shaded cabanas and an attractive two story bar/restaurant. Also, the surrounding jungle mountains provide inspiring views of the coastline. Pacifico Beach Club is part of Pacifico Developement, a large succesfull developement comprised of luxury homes and condos. 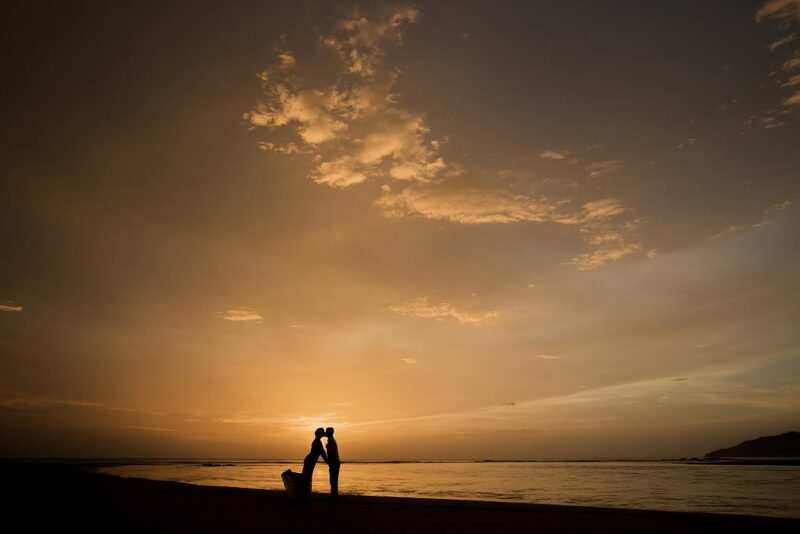 You and your guests may stay at Pacifico, and enjoy the wonders of this beach town: restaurants, nightlife and shops. Playas del Coco is famous for it calm beach, perfect for paddle boarding, kayaking and snorkeling. 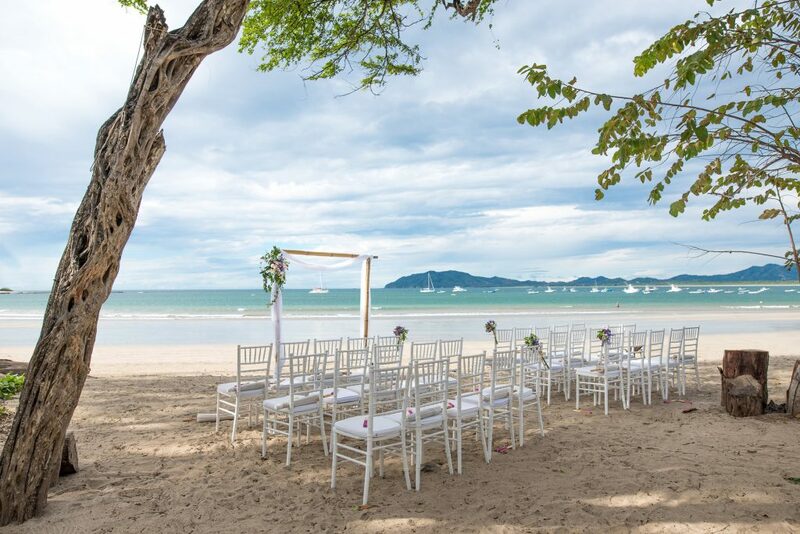 Located on the southern end of Tamarindo beach, the Langosta Beach club is the perfect tropical sanctuary. It’s embellished by modern coastal architecture, private cabanas and an infinity pool. 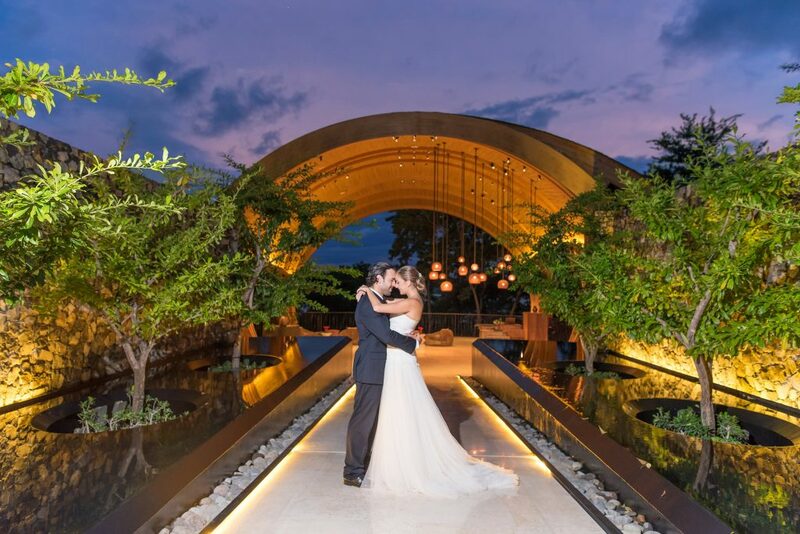 And, it includes a spacious roofed area which is perfect for an elegant reception dinner. 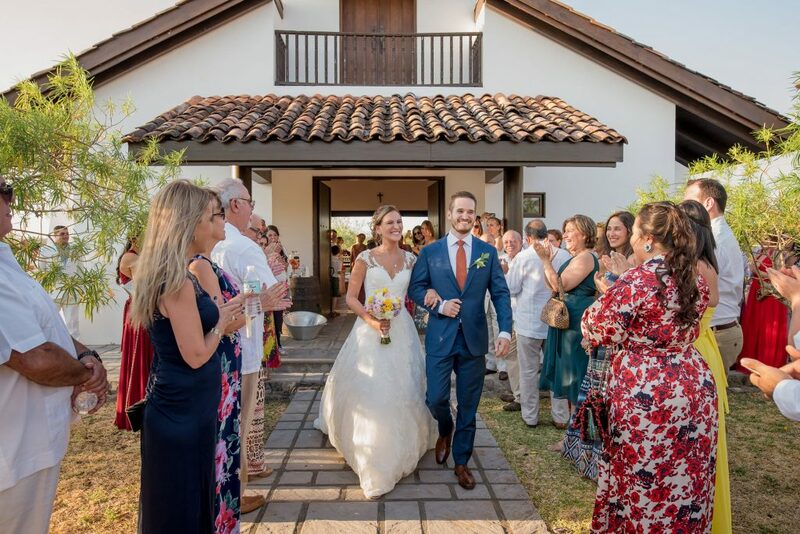 Reserva Conchal offers a selection of beautiful ceremony and reception sites. 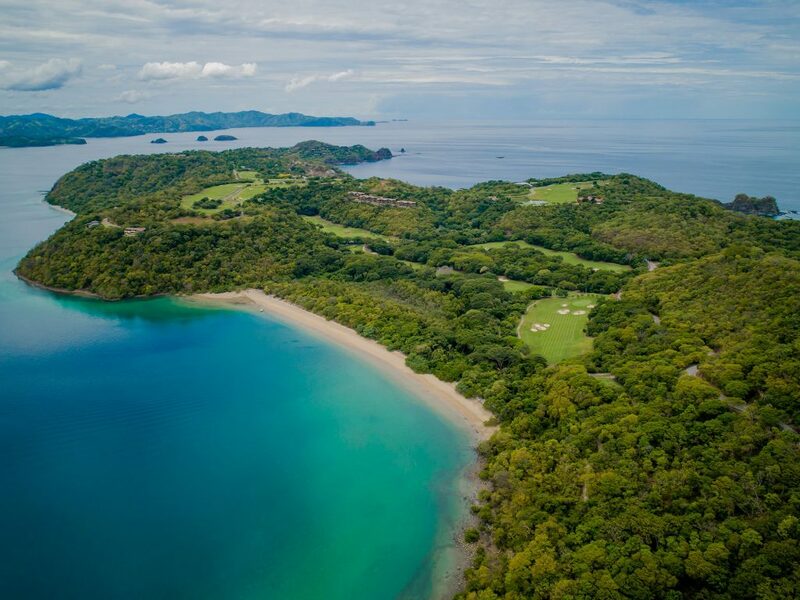 The resort community includes a beach club, lush gardens, a Zen Garden located at their exclusive golf course, a beach front pool deck and sophisticated ocean view rooms. 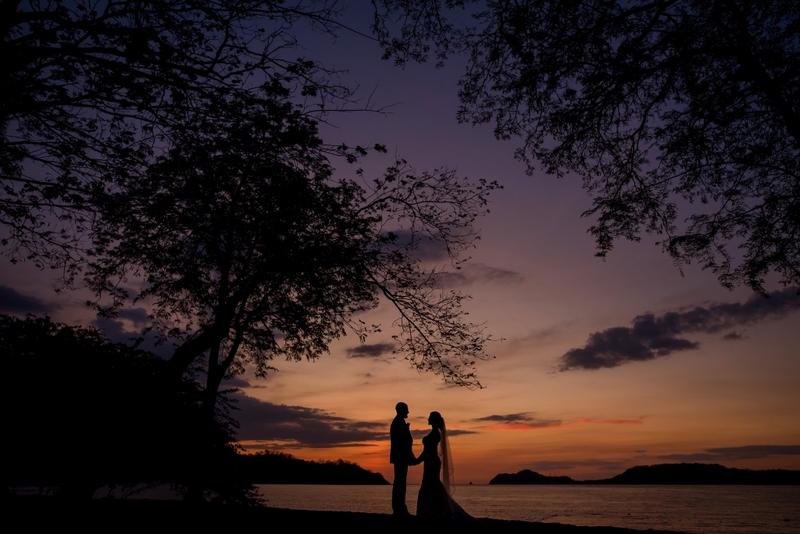 Thus, you’re bound to find an option that accommodates your wedding needs. 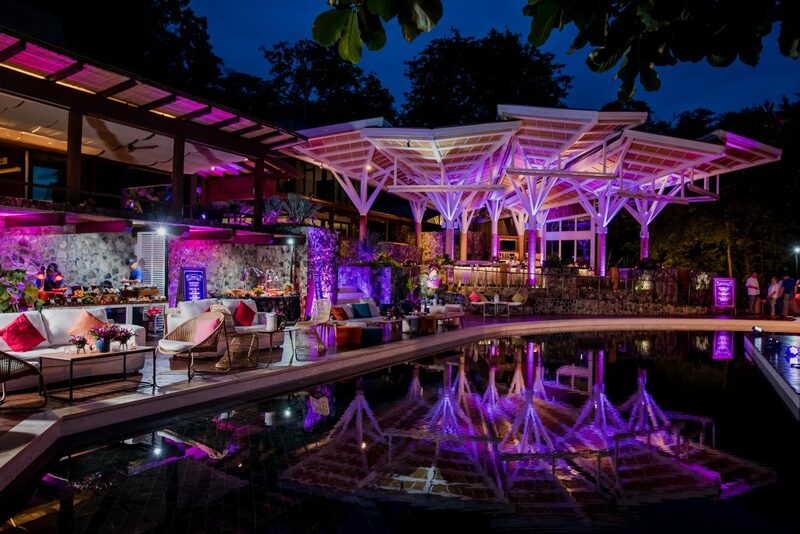 Inside Reserva Conchal’s property, you’ll find the Westin Resort, an All-Inclusive Resort unique here in Costa Rica! Westin Resort is great if you’re looking for an all-inclusive hotel experience. 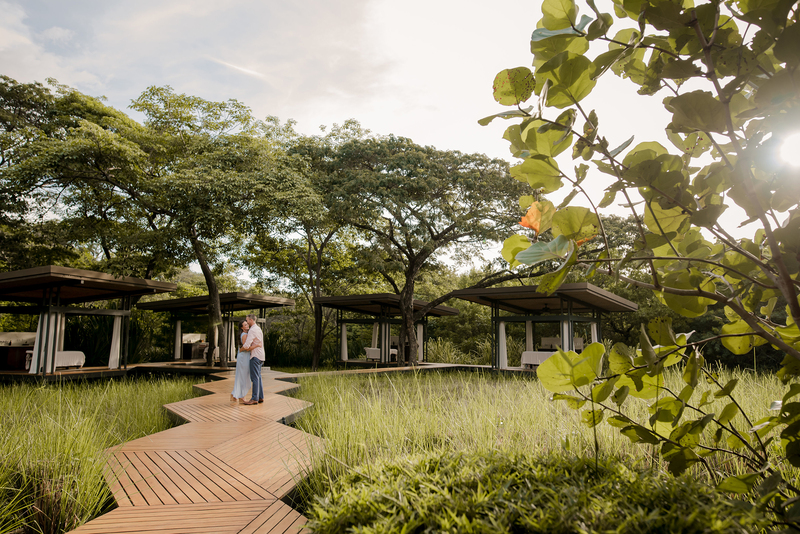 Hacienda Pinilla is a world of it’s own. 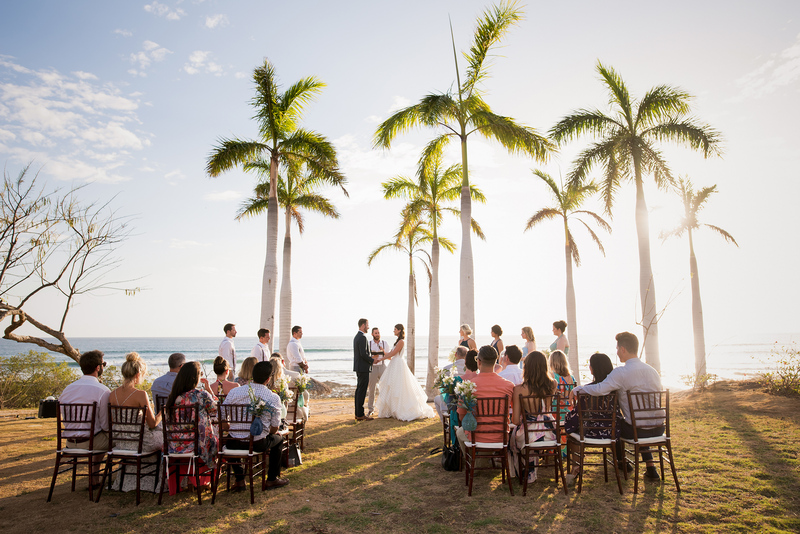 It’s colonial chapel, beach clubs, and inspiring ocean front venues are a few of the sites one can choose from. The boundless possibilities of this exclusive community make it one of a kind. 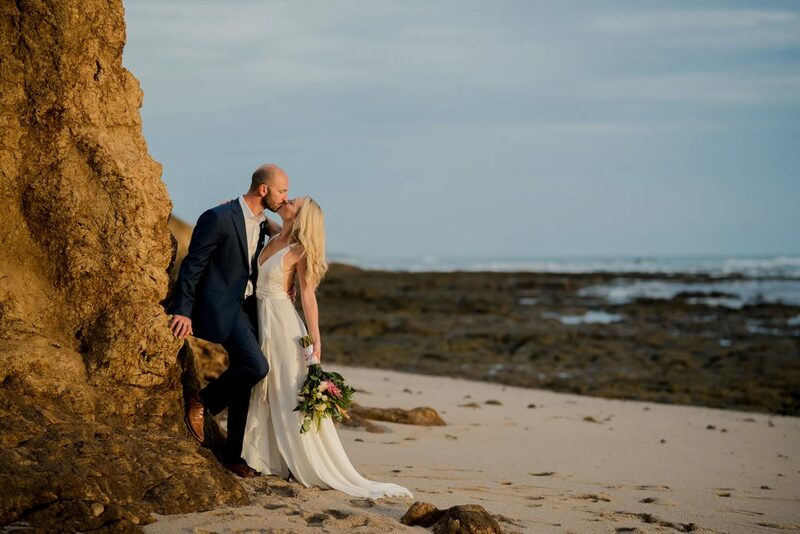 If you and your guests enjoy golf, surfing and hanging around in beautiful beaches, this is the spot for your wedding! Located in Playa Panamá, El Mangroove hotel is strategically located less than 20mins from our Liberia International Airport. Their beach is ideal for paddle boarding, kayaking and snorkeling, or even renting a boat out to do beach hopping or fishing. El Mangroove hotel is famous for their cuisine and spa! Special thanks to these venues for trusting me with their wedding coverages, as well as to all the planners and vendors involved in making each and every wedding a success!